Six months ago, Putin stunned just about everyone by sending Russian forces off to a distant war in the Middle East. Folly, cried many, including myself, for the Middle East is an ugly morass of conflict that siphons power and undermines great states. Now, Putin is pulling most of his forces out. Once more, just about no one saw this coming. Has Putin pulled off yet another geopolitical coup de grace? Has he outfoxed his Western and Islamist foes once more? Well yes. But also no. Putin has proven himself to be quite adept at geopolitics, which is not quite the same thing as being a second Stalin. Vladimir Putin has shown again and again that he is fully aware of the geopolitical conditions of Russia and the international system. Those conditions are fraught with peril. When Putin plays his hand, he does so with an eye to maximizing gains and minimizing risk. So far, his bets have largely paid off. Russia’s superpower past and military prowess can lead people to believe its stronger than it actually is. Russian power is riddled with liabilities: its long frontiers with powerful rivals like NATO, China, and the United States (a sea frontier via the Bering Sea); ethnic groups that need just one bad or weak president to split off from the Federation; vast, empty spaces that require a great deal of time and money to bridge with transport links; a harsh climate that slows development in its Far East. That’s quite the gas bill. These liabilities overwhelmed the former Soviet Union. When Putin came to power in 1999, Russia still had them with the added complication of the Soviet collapse. Russian state power was the weakest it had been since the Russian Civil War. Putin set about reorganizing what was left. Putin saw the collapse of the USSR not as a Western victory but as a self-inflicted defeat, which has colored his strategy ever since. 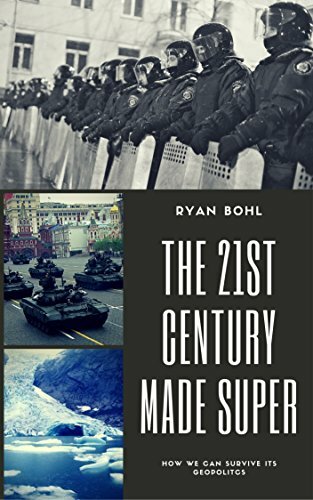 The USSR was not, after all, conquered by Western armies as Nazi Germany and Japan were; it fell apart due to deep inefficiencies that overwhelmed the state. But Putin’s worldview simplifies that further: had Moscow simply been more capable, collapse might have been avoided entirely. In the late 1980s, the perception that the Soviet state was rotting was just as powerful as the rot itself: once people knew the reality, Soviet citizens in various republics began to protest, push, and pull until they tore the USSR apart. The Soviet Union, after all, was still very well armed with an efficient and professional military. Its security services were well-trained. In Putin’s mind, had these two pillars been used in 1989 or earlier, the Soviet Union might still be around. This isn’t wholly without merit: China, after all, turned its guns on its own people in 1989. China isn’t remotely Communist, but the Communist party remains in power. For Putin, the loss of Communism is irrelevant: what matters is that the USSR allowed its borders and population to shrink so dramatically. To stop the rot, Putin first had to convince people the rot was no longer there. This he did in his early years: a successful, though brutal, war in Chechnya proved the Russian military still had the chops to hold the Federation together. This dealt with the threat of further ethnic secession and proved to ordinary Russians that their state still could flex its rusty muscles. To stem the economic chaos, he coopted the key oligarchs he needed to stabilize the Russian economy. He limited plunder and corruption: when people did steal, they did so with his permission. A generous rewriting of Russian law allowed him to prosecute who he wanted when he wanted. High oil prices allowed him to pander to Russia’s bloated state workers and to invest in new military tech. Conquering Chechnya was a big first step. The result was a new type of authoritarian state: one that held elections, but rigged them deftly. One that had free speech, but diluted the airwaves with so much disinformation and disingenuous reporting as to neutralize any dangerous truths floating around. One that had a free economy, except it was dominated by a handful of cronies and propped up by petroleum and natural gas sales. All well and good for Putin were Russia alone on planet Earth. Alas, forces were pushing towards him that required action. These two forces? Political Islam and EU-style government. Political Islam had the potential to ignite more ethnic uprisings in Russia’s Muslim republics: this shouldn’t be discounted when thinking about why Putin risked so much in Syria. While Islamist forces could never march on Moscow, they could begin yet another dangerous unraveling of Russian power: should the Volga, Chechen, or Dagestan Muslims rebel and secede, it could cause yet another spiral of secession. But more than that, EU-style government was much more of a threat to Putin’s governing model. Shielded by NATO’s arms, the EU demanded that states play by rules Putin saw as a mortal threat to Russia. The last time Moscow tried to become like the West, the Soviet Union fell in a torrent of free speech and assembly. Putin understands Russia’s geopolitical condition too well: in its current form and demographic make-up, too much democracy is likely to cause yet another wave of secession and potentially worse. Once a state joins NATO, the EU, with all its human rights protecting regulations, is free to expand as well. Should Russia play by those rules, it might have to allow secession votes just as Britain just did with Scotland. Unlike Britain, it’s quite likely the secessionists would win. Additionally, it’s not like the former authoritarian forces within Russia would go quietly into the night. Russia, in this regard, resembles Egypt, where a deep state was able to manipulate its people so effectively they begged for a return to dictatorship. But unlike Egypt, with its dense population that is relatively easy to control, Russia could instead have a civil war between democrats and authoritarians. Which is why Putin has made a point of keeping NATO as far back as possible. Putin could not act when the Baltic republics joined NATO in 2004; the Soviet bleeding had barely been stemmed. That same year, they joined the EU as well. Suddenly, on Russian borders was both the military threat of NATO and the governing threat of the EU. When Georgia, crucially located close to the Chechen frontier, began to make noises about joining both as well, Putin decided to act. Virtually every former Soviet state has exploitable ethnic differences: Georgia had fought an unresolved civil war in the 1990s, leaving two breakaway republics, Abkhazia and Ossetia, outside of the central government’s control. Any of these ethnic republics could try to split away, leaving a much reduced Russia. Putin did not need a war to achieve his goals: all he needed was a divided Georgia that could not meet the criteria of NATO and the EU. So long as Abkhazia and Ossetia remained in a frozen conflict, Putin’s goals were achieved. It was only when Georgia began an armed invasion of Ossetia, trying to reassert power, that Putin decided to resort to war. But that war was illustrative. Russia could have readily driven on to the capital city, Tbilisi, and overthrown the government. It could have even occupied and annexed the whole country, as the czars of old once did. But Putin understood the 21st century well enough. To occupy Georgia was to invite a butcher’s bill in both blood and treasure, commodities Russia could ill-afford. He was content to freeze the conflict once more, saving Russian power for another day. Georgia’s drift westward was buried. When Ukraine’s pro-EU protestors seized power, it could not be ignored; to lose Ukraine to the West meant to invite Western influence through the many trade links Moscow and Kiev share. Russia created a frozen conflict out of nowhere; now Ukraine’s EU and NATO applications are just as stalled. Why would Putin risk so much in a country so far away? That had everything to do with appearing to be competent. Russia had once been a major power in the Middle East; now, it had just limited influence in Syria and Iran. Putin understands that if Russia can purchase influence back in the region, it will make it harder for the West to continue to push on the frontiers he truly cares about in Europe. The West, after all, is an alliance system: its member states can’t coordinate readily unless there is some overwhelming threat. To gain such influence, Russia must be seen as reliable. When Assad’s forces began their civil war, Putin knew he had to continue to supply them. Additionally, the rise of Sunni Islamism remains a present threat in Russia today. Assad’s relatively secular government was a preferable placeholder. Unlike Ukraine and Georgia, where Putin sought to arrest Western expansion, in Syria he meant to demonstrate to Middle Eastern states – chief among them Iran – that Moscow was a powerful partner on the world stage. But as Assad lost ground, Putin felt compelled to intervene directly to stave off collapse. What many people – including myself – got wrong is assuming Putin would behave like the Americans, whose winner-take-all geopolitical attitude has gotten the U.S. into long, pointless wars in Vietnam, Iraq, and Afghanistan. We all believed that Putin would only draw up, expending precious power in trying to restore Assad to the whole of Syria. But in truth, Putin understood the limits of both Russia and Assad. Assad’s regime will only gain power in eastern Syria by depopulating it, but nothing inspires intervention quite like genocide, so that won’t happen. Russia, meanwhile, has no interest in expending power on such a task: nor does it need to. Keeping Assad alive is good enough. What we should have seen is how well restrained Putin has been in past conflicts. Putin’s tanks could well have rolled into both Kiev and Tbilisi with speed, but didn’t. That’s because a long war would have undone much of Putin’s careful balancing act. Instead, Putin’s intervention in Syria is very 19th century: limited power, limited objectives, and a willingness to end battle short of total victory. This is a deeply mature geopolitical attitude: understanding your nation-state can only do so much is the mark of enlightenment. It is an attitude Americans are rather bad at, and are a key reason why the U.S. keeps fighting dumb wars. Before he got too many people killed, Putin has withdrawn from Syria. So Putin has won, in the narrow ways he needed to. Thanks to his intervention, Putin won a true seat at the negotiating table, hammering out the small-scale cease fire now taking effect in parts of Syria. He has shown his forces can wage war further afield; as nation-states look for allies who won’t chastise them over human rights, they will glance once more towards Moscow. He has demonstrated to his own people that his warrior instinct can get things done: unlike Ukraine, where Russia suffered sanctions, repercussions from Syria have thus far only been a downed civilian airliner of Sinai by the Islamic State. Moreover, he has preserved his power for whatever wars he will fight in the future. Rather than doing the American and getting bogged down in a forever war simply to avoid the humiliation of withdrawal, Putin drew a line in the sand that was achievable and realistic. Assad did not capture Aleppo, nor destroy the Islamic State, nor do much more than save himself. That, for Putin, was good enough. But Russia is hardly out of the woods. The sanctions regime and low energy prices threaten to undo much of what Putin has accomplished. His withdrawal from Syria was smart in the face of such challenges. So long as those two conditions remain, Russia will remain beleaguered. Putin has done much with little; he may find a way through those yet. But he is threading the needle. Time will tell whether he’s mastery of geopolitics pays dividends. Nice write-up. I remember back when the Syrian intervention first started, Gary Brecher the War Nerd had a few very amusing articles laughing at how much of the Western media was throwing a tizzy about how “Russia’s going to be stuck in a quagmire”, “what are they doing they have no strategy” and so on; but as the War Nerd argued, it seemed pretty clear from the get-go that Putin’s goal was to prevent rebel and Islamist forces from overrunning Latakia and the Alawite heartlands, and stabilize the war to ensure the regime’s stability. I wasn’t sure how much to accept this analysis, particularly as Assad and Co. kept advancing around Aleppo; but now with Russia’s withdrawal, it definitely seems like that was the plan all along! And you know, I was just as wrong. I think we have this concept that strongmen like Putin play by Saddam or Hitler rules – no hold barred, victory or death. But clearly we need to think that even strongmen can play by the limits. Weing divided doesn’t prevent a country (or the part contoled by the recognized government) from joining the EU. Cyprus is is a member despite the Turkish occupation of the Northern part. But Turkey is NATO. There was never a threat of civil war over EU membership. Next Next post: NATO could destroy the Islamic State. So why don’t they?